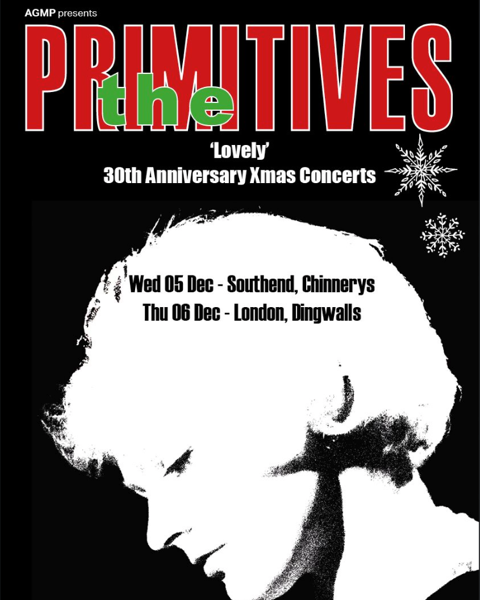 AGMP Presents The Primitives plus special guests TBA. Fronted by indie pop blonde bombshell Tracy Tracy, The Primitives emerged from the independent scene of the mid-80s that also spawned The Jesus and Mary Chain, My Bloody Valentine, The Wedding Present and Primal Scream. Their sound distilled the shimmering guitar jangle of The Byrds, the buzz saw style of the Ramones and 60’s girl group melodies into two and a half minute pop gems. The Primitives were regular session guests on BBC Radio One’s John Peel radio show and they had a career boost when Morrissey named them as one of his favourite bands. Their widely acclaimed first album, ‘Lovely‘, made them the UK’s indie darlings, while the huge success of the single ‘Crash‘ saw them cross over to a mass audience. ‘Lovely‘ also featured the singles ‘Thru the Flowers‘, ‘Stop Killing Me‘, ‘Way Behind Me‘ and ‘Out of Reach‘.